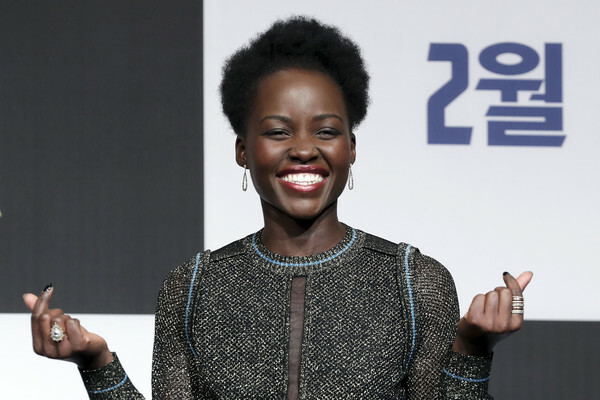 Actor Lupita Nyong'o attends the press conference for the Seoul premiere of 'Black Panther' on February 5, 2018 in Seoul, South Korea. Lupita Nyong'o amped up the sparkle with a huge cocktail ring. Lupita Nyong'o attended the 'Black Panther' press conference in Seoul wearing some stylish stackable rings.